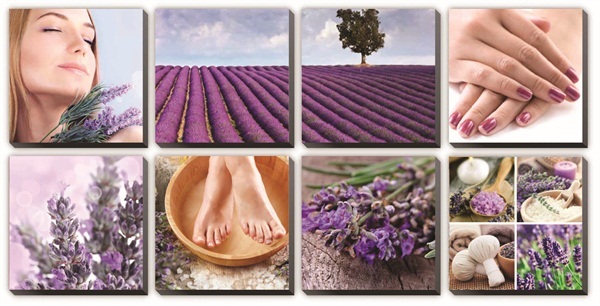 Enhance your salon with Alfalfa’s new stretched canvas or glass murals. Each canvas mural set comes in an eight-piece ensemble and measures 24 in. by 24 in. The pieces can be used together as a group or separately. With the glass murals, 5-, 8- or 6-piece sets are available. Each set conveys a diff erent mood and color. For more information, visit Alfalfa.